US 50 to SR 148, approx 3mi, rt on Briarwood, lt on Briar Rdg. Stay lt - last house on drive. Dead-ends. 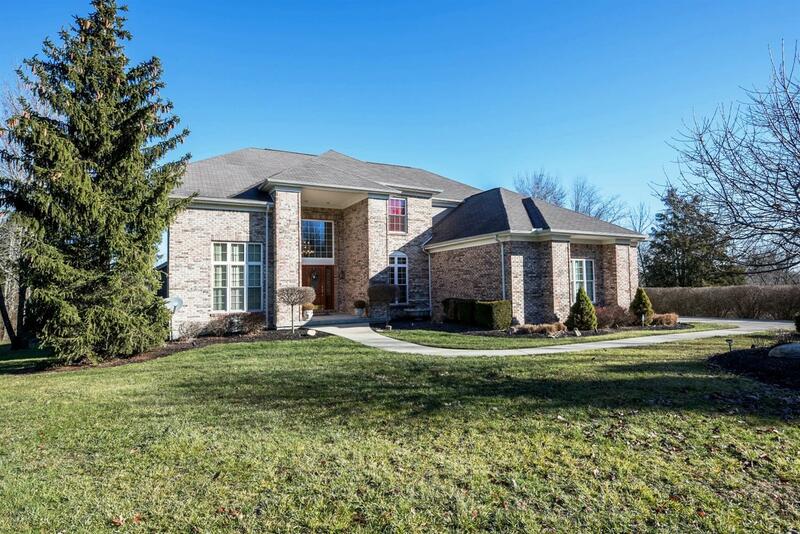 Private 4446 sq ft 2-story w/charm & beauty on 11+ wooded acres. Mega landscaping. 3-c gar; open concept; ingrnd htd pool; hottub; patio/privacy fence; scrnd porch. Lrg mstr retreat; hrdwd flrs; ceramic tile; vltd clng; office; 1st frl lndry; lrg fam rm w/wet bar & entertainment area. 24x36 det gar w/wrkshp; 9x9 vault/shelter. See virtual tour!